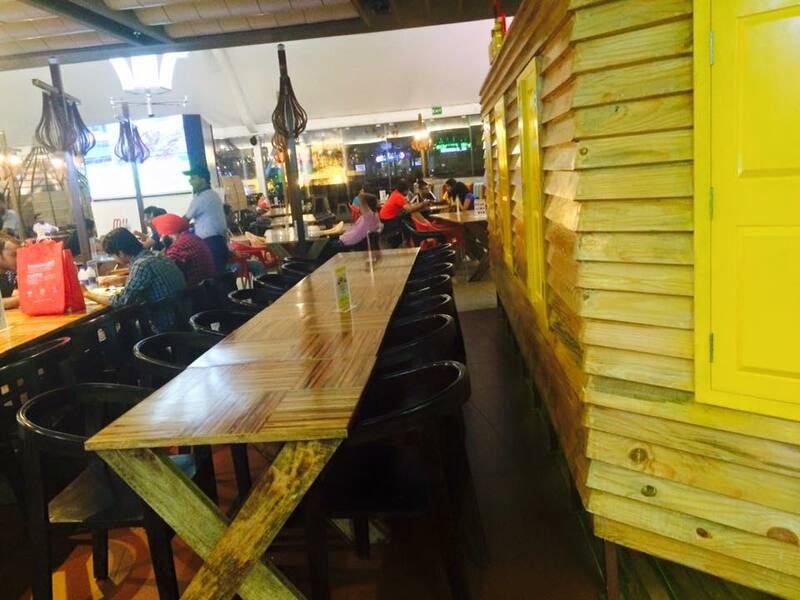 Last week I went to Pind Balluchi which is in My Square Food Court,Citywalk Mall,Saket. 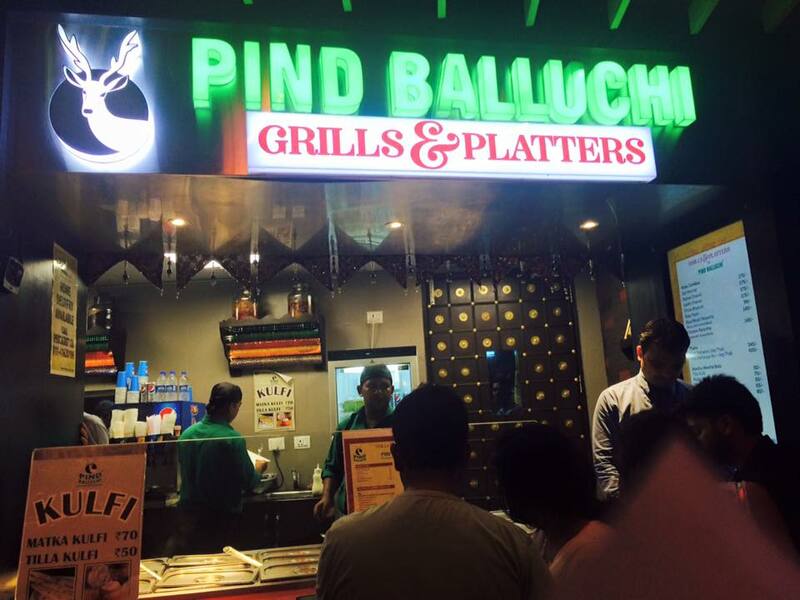 I have been to a bunch of Pind Balluchi's (Connaught Place,GIP Noida ) and when I saw the newly opened Pind Balluchi in Saket,I thought of going there. The citywalk food court is completely changed now with My Square where we can see new food court with new restaurants.Pind Balluchi is a decent place with good ambience.They serve North Indian food. There are different types of seating arrangement and we choose the wide sofas which were awesome and comfortable at at window side. 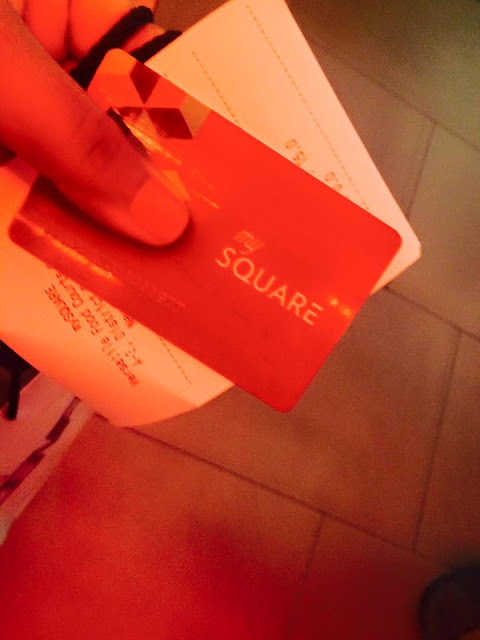 We need to buy a food card from my square first which works on all restaurants.They give the balance later which is left in the card. 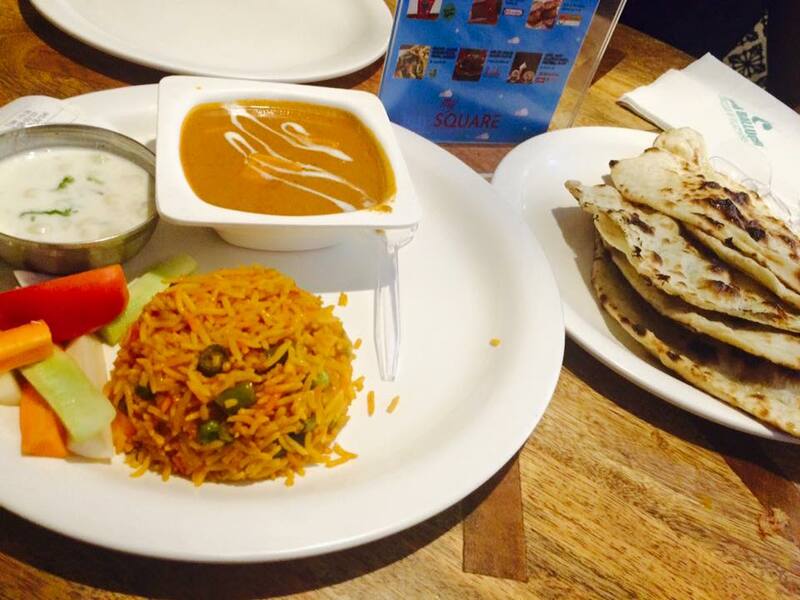 I had ordered Paneer Makhani and Butter Naan. 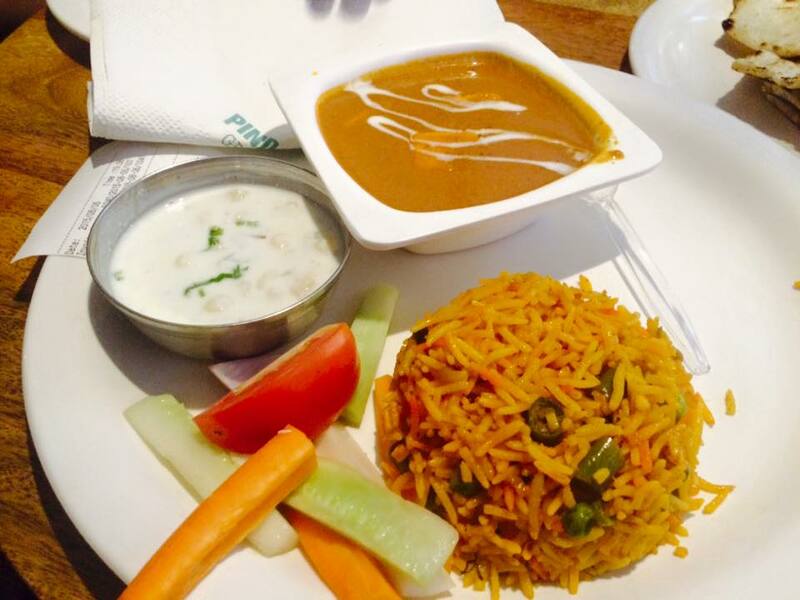 With Paneer Makhani,they served veg Biryani and Raita with salad. I liked the food but the Paneer Makhani gravy was not that thick as I like. The taste was good.I loved the veg biryani and raita too. The butter naans were crispy and we all liked them. 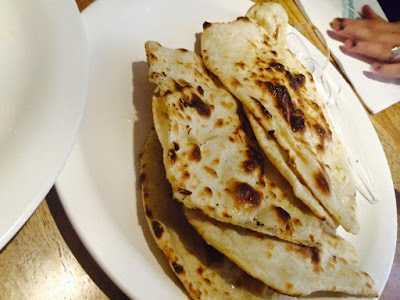 I would say that the food of this Pind Balluchi is yummylicious just like their other outlets where I have been too ( Connaught Place and Noida ones).I would say its a good place to have your meal. I would give 3.5/5 to this restaurant.